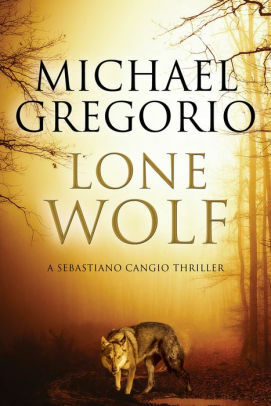 MY BOOK, THE MOVIE: Michael Gregorio's "Lone Wolf"
Michael Gregorio is the pen name of Michael G. Jacob and Daniela De Gregorio. Best known for their Hanno Stiffeniis series, featuring a Prussian magistrate in a country invaded by Napoleon and the French, they have more recently launched a contemporary series set in Italy, where they live. The Seb Cangio novels follow the exploits of a forest ranger as he combats Mafia infiltration of the unspoilt national park in Umbria where he works. Imagine: United Artists and us. UA: These stories haven’t been adapted for the big screen? UA: His seat? Don’t tell me this is a guy film. UA: No dogs die, do they? No horses? Nothing like that? US: Only the thugs die. Quite a lot of them, actually. But it’s all good fun, plenty of action with a capital A and a serious investment in top quality tomato sauce. UA: Now that is a good sponsor angle. Yeah, show the can… the can of sauce, I mean, in all the kitchen scenes. UA: Mutti, Parma… you don’t say? (He’s making a note of the name). I’ll check it out. Now, tell me this. How do you see this movie playing out? Gimme a sketch. UA: The wolves don’t die, do they? We have this thing with Animal Protection. UA: Allegheny? I thought you said Italy? UA: Wolves with two legs? You mean like walking wolves? Werewolves? UA: Okay, so we got wolves and criminals, a dumb park ranger. What else? UA: We can film those scenes right here in New York, cut back on costs. US: The mafia from Calabria, the most dangerous criminal organisation in the world. UA: Winslow’s already worked that angle. Slaughter on every page. UA: And the first two pages? US: Magic, witchcraft, a pinch of historical backstory. UA: What about a director? You got any thoughts on that? US: Well, our vote goes to Mel. 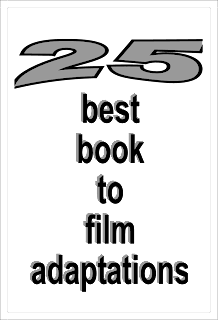 He’s been through this kind of thing before – oceans of blood, nastiness unchained, and a wild natural setting with eclipses of the sun and sudden downpours – we’ve seen Apocalypto twenty or thirty times, it’s one of our favourite movies. UA: We’re talking big money here. So, what about the stars? UA: Two? That’s throwing money away. Could we cut it back to one? We got Scarlett, Cameron, Ashley, take your pick. Male leads are two a penny, so let’s play safe with Leonardo. Di Caprio. Italian-sounding, right? He should know how to handle this ’Ndrangheta angle… Okay, time’s up. I’ll get back to you on this. Have a great day! As you may have realised, films and filmstars are not our thing. So, we’ll just have to wait for a producer with his cheque book and chosen camera buff to come along and finally do what Justice demands: make Lone Wolf into the blockbuster movie it deserves to be! The Page 69 Test: Lone Wolf.